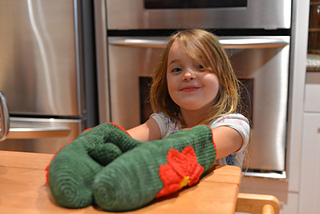 Need a festive pair of oven mitts to get you through your holiday cookie baking season? Well, these lovely mitts are the answer to your prayers! 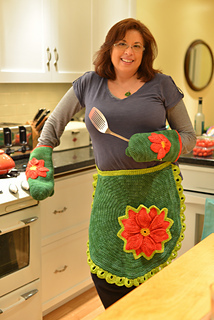 Oven mitts are constructed in the round using primarily single crochet. 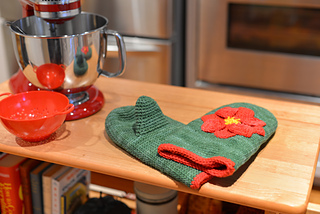 They are adorned with poinsettia appliques that utilize both traditional and Tunisian crochet techniques.